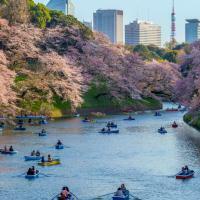 Discover the magic of cherry blossom season in Tokyo and see how the locals really celebrate the spring time sakura blossoming. Hanami, or cherry blossom viewing, is getting together with your friends and loved ones, sharing food and drinks under the blossoms as the petals drift down, and enjoying this fleeting but enchanting time of the year together. Let your specially handpicked Host show you the most spectacular spots in the city for hanami as well as places which are off the tourist trail, enjoy a picnic under trees in true local style and feast on the classic snacks and dishes which are enjoyed at this time of year. When the sakura start to bloom, the whole city explodes in pastel pink. 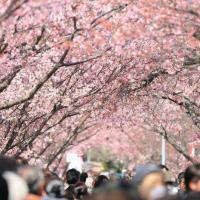 But as Tokyo is such a sprawling metropolis, choosing which hanami spots to visit can seem tricky. So your Host will cre-ate a unique itinerary for you which will include both a famous park and temple, as well as a small private garden or an off the beaten path shrine if you would like to visit one. Just like the locals do, you’ll enjoy a picnic with your Host under the blossoms. It’s permitted to drink in public in Japan so locals gather with their friends and family, enjoy some beers or sake and share plates of tasty traditional dishes together, whether it’s a picnic brought from home, traditional sweets or street food picked up on the way like yakitori (grilled chicken skewers), takoyaki (fried octopus balls) and yakisoba (fried noodles). So first things first, you’ll need to buy your picnic! Together with your Host, you’ll visit an impressive local department store where you’ll head straight to the “Depachika”, the incredible underground food halls that can be found in most Japanese department stores - a paradise for any foodie! Browse the aisles and be amazed by the incredible food like sushi, bento boxes and Japanese sweets you can find here. “Depachika” are great choice to mix-and-match Japanese snacks too, from fried chicken to croquettes with a thousand different fillings, as well as fancy onigiri too—you’ll definitely be spoiled for choice! Your Host will recommend items for your picnic that are loved by the locals so you can feast on traditional local favourites. Taste sakura mochi, the traditional spring sweets which you’ll find in almost every wagashi (Japa-nese sweet) shop in Tokyo at this time of year - these are delicious pink rice cakes wrapped in sa-kura leaf and the classic cherry blossom season sweets! Next, your Host will take you to a park like the Shinjuku Gyoen National Park which they will choose according to where the best blossoms are. The dates of the cherry blossom season vary each year, so your Host will choose a park based on where the blossoms are in full bloom and at their best. In order to secure a good picnic spot, you will likely arrive before midday as it can get extremely busy. Have your own hanami party under the sakura trees as you feast on your picnic and your Host shares with you the traditions of hanami and its festive parties. You may like to hire a boat and enjoy floating on the moat which surrounds the Imperial Palace, the perfect way to enjoy the cherry blossoms which drape into the water! Or perhaps you’d like to stroll along the Meguro River, wandering along the canal and appreciating the beauty and tranquility of the trees along the water’s edge. 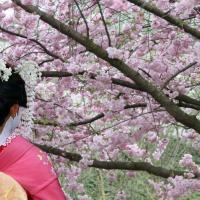 But of course, you may also like to stay in the park and make the most of your spot under the sakura! See some of Tokyo’s iconic hanami spots like the Sensoji temple and the beautiful Meiji-jingu Shrine are even more breathtaking at this time of year, so your Host will take you to a temple or shrine that fits your itinerary and where the blossoms are at their best. 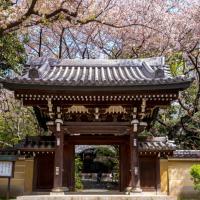 * Enjoy a picnic with your host under the branches of a cherry tree in full bloom just like the locals in a popular hanami spot like at Ueno Park, having your own hanami party! Thank you so much for recommending Ms. Noriko to us. We had the privilege of having Ms. Noriko as our tourguide for half a day and we enjoyed her pleasant personality as well as her knowledge of the areas of Ueno and Shinjuku. She recommended a very good Japanese coffee shop and an excellent unagi restaurant and had one of our best meals in Tokyo because of her. She went the extra mile to try to give us a pleasant experience inspite of the fact that it rained continuously on the morning that we had allotted for taking pictures of the cherry blossom trees. She was able to juggle our schedule around so that the morning was not at all wasted. We booked our tour with Daniela and we loved spending the day with her. The cherry blossom was so amazing and a really must-see experience. We really liked how Daniela told us about the local customs as well as some local insights about the area. My husband is a slower walker than me, but Daniela was really patient, flexible and helpful. A pleasure to be around! We will definitely book with cityunscripted again.